Home » News » Announcements » “Master of the Galaxy” will be on Kickstarter starting July 18th; watch the video trailer! “Master of the Galaxy” will be on Kickstarter starting July 18th; watch the video trailer! Ares Games and Igrology unveil the dates of the Kickstarter campaign to fund “Master of the Galaxy”, a 4X board game (eXplore, eXpand, eXploit, eXterminate) of galactic conquest. The project will launch on July 18th, 2017, ending on August 11th. The game is due to release in 1st quarter of 2018. Watch the teaser video now! In “Master of the Galaxy”, nine Elder Races are expanding through space, ready to assimilate or exterminate anybody who stands in their way. 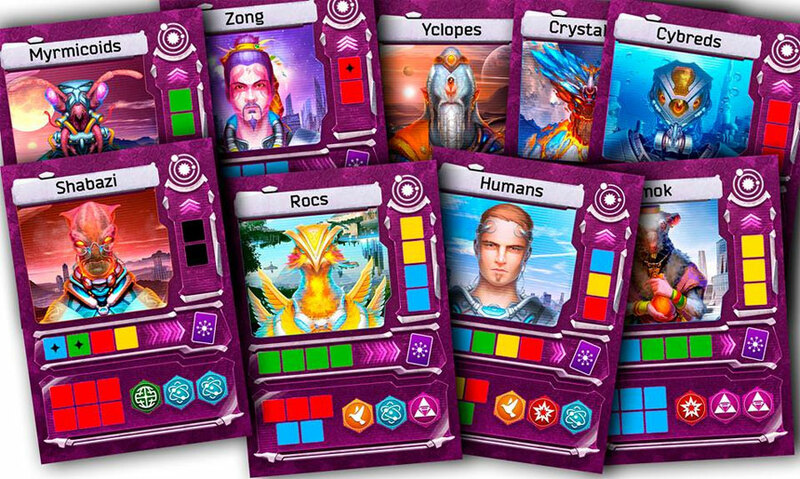 Players are challenged to conquer the Galaxy, starting with one star system, one Species card and a modest supply of resources. Using at its core a “bag-building” mechanic, players will collect new resources to fuel their expansion and development to suit their strategy. Players can choose different ways to dominate the Galaxy - trying to quickly spread their people across the stars, developing science to a level unreachable by the opponents, or embarking themselves on a methodical extermination of the rivals. 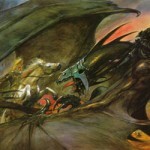 Master of the Galaxy: nine Elder Races struggle to become the dominant species. 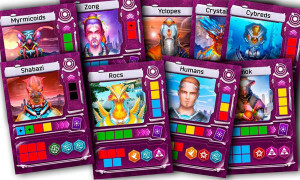 Inspired by classic science-fiction, movies, and computer games, Master of the Galaxy uses a unique and innovative blend of bag-building, card-drafting and tech-tree development mechanics, in a colorful setting. Two to four players can play, and a complete game requires 30 to 45 minutes per player. The game can be tried in a digital version available on Tabletopia, and the first video preview of the game was already published on Marco Wargame YouTube channel. 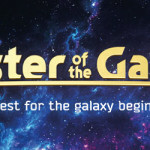 For more information about Master of the Galaxy and the Kickstarter campaign, stay tuned on the game’s page on Facebook - www.facebook.com/masterofthegalaxy/.